“Singin’ in the Rain” is currently beginning its second week at the Historic Palace Theater in Lockport. Wendy and I arrived last Saturday to the Palace to enjoy the last show of the 2017-2018 season. It will be a long layoff for us before the new season starts in November, but we took the plunge this year and purchased season tickets for Shea’s. In the meantime, the finale for the Palace was more than worth the wait. 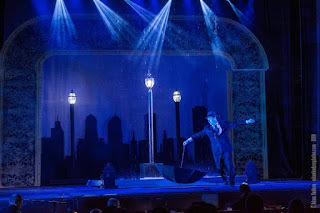 Personally, I had never seen “Singin’ in the Rain” on stage, but I was definitely very familiar with the songs. My grandmother was a piano player, and she would play these songs for me when I was staying at her house. I was singing along to most of the songs, probably much to the surprise of the gentleman seated next to me. I think that’s what made me like the show so much. “Singin’ in the Rain” is the story of Don Lockwood, a highly successful silent film star, and his partner, Lina Lamont. When the trends start moving away from the silents to the “talkies,” it quickly becomes apparent that Lina cannot make the transition. Instead, it is an aspiring actress, Kathy Selden, who has the talent to sing and speak in the talking movies, and steal Lockwood’s heart. Of course, Lamont will wreak as much havoc as possible before allowing some new girl to upstage her. Katie Merrill shines once again on stage, this time taking on the role of Kathy Selden. Her acting in this work crosses a variety of personalities. When she first meets Lockwood, he is confident of herself, and not afraid to ue her wit to keep him at bay. When she finally gets a job with the studio, thanks to his help, she comes across as a nervous newbie. And, of course, as a woman in love, she is entirely different. Each of these personalities is distinct and shines through Merrill’s superior acting. Her singing voice is simply beautiful. Kelli Pyle had one of my favorite roles in the musical with Lina Lamont. She played a perfect foil to the straight duo of Lamont and Selden. Wendy mentioned to me how hard it must have been for her sing with Lamont’s tone-deaf voice. Throughout the show, she desperately tries to hold onto her waning star and Lockwood. Her entrances were always full of flamboyance, always adding a layer of comedy to the show from an unwitting source. She was a pleasure to watch. 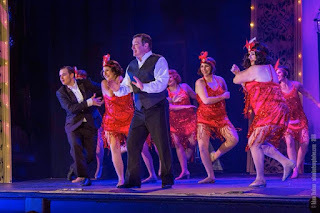 We last saw Ricky Needham on stage as Prince Eric in “The Little Mermaid.” This time, he takes on the roll of Cosmo Brown. If it wasn’t for the playbill, I would have missed that. Needham played Cosmo so differently than Prince Eric. He was able to deftly transform himself into yet another character. I am very impressed that he is so convincingly able to meld into different characters. His song and dance routine in the flashback with Lockwood was one of my favorite parts of the show. 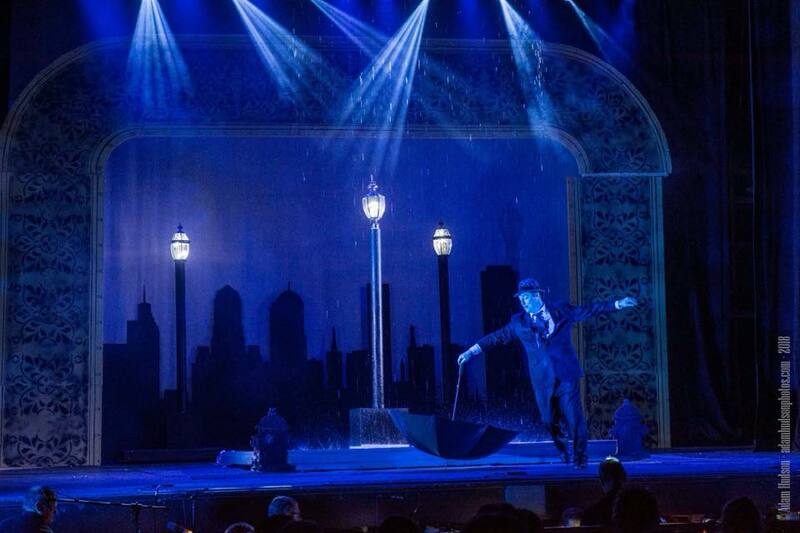 Executive Director, Christopher Parada, assured me last spring that there would be rain on stage for this show. He gave me a little bit of a preview of how it was going to work. I had a vision in my head as he explained it, but nothing could prepare me for the scene as it unfolded. It was so incredible. It was even better than he explained it. Aside from the familiarity with the score, this was definitely a highlight for me. It always amazes me how a small theater like the Palace can put such a great production together. It takes a lot of dedication and devotion. We’re very fortunate to have those people around who dedicate their time and energy to making the Palace and their shows a jewel to be proud of. I was late in writing this review, but as I write it, there are still two performances left -- Saturday and Sunday. 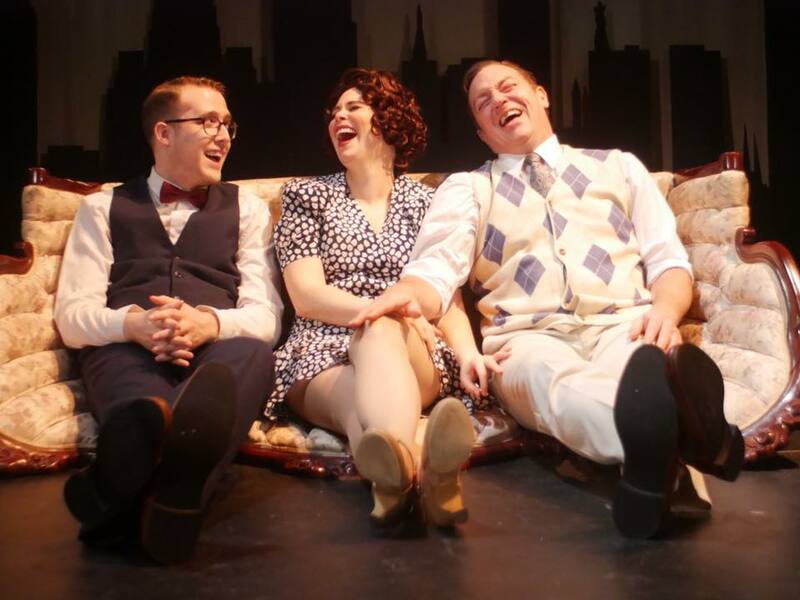 If you haven’t had a chance to see “Singin’ in the Rain,” hurry up and get your tickets. Trust me, you won’t be disappointed. Craig Bacon will be going to Shea’s with his wife and, Howie and his wife. That in itself will be a great production.